Working once again with our good friends at Drumond Park, we're happy to be able to offer one lucky reader the chance to win a Pumpaloons game. But before we get to the competition, lets rip open the box, take a deep breath, and prepare to get pumping. Playing Pumpaloons couldn't be simpler. The box contains two foot pumps and two squished up colourful characters called Stripeyloon and Spottyloon. 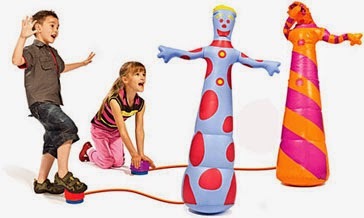 All kids have to do is attach the pumps to their chosen Pumpaloon and get pumping. Using hands, feet or (as we found quite fun) bottoms, the winner is the first person to fully inflate their character, with the hands and head popping out to signal completion. Tonnes of fun, this is by far the most physical of all the Drumond Park games we've had the pleasure of testing, and even for adults it can be challenge to inflate the Pumpaloons quickly. Although we found the kids loved playing it in the garden during the day, it was also a pretty fun game to pull out at an adult barbecue come the evening. Needless to say, the game turned more competitive from then on. 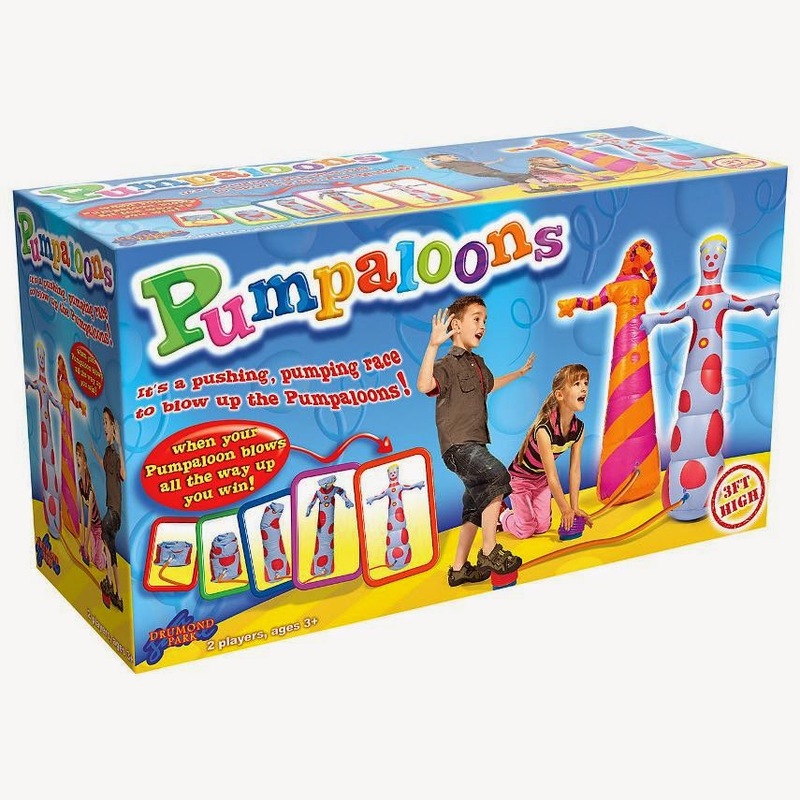 Pumpaloons is an ideal game for the summer school holidays as it will get the kids active and hopefully encourage them outside (although Pumpaloons works just as well in the living room on rainy days). To enter simply follow @thetestpit on Twitter, or if you're already following us, retweet any tweet we've posted about the Pumpaloons competiton before 18th August 2014. The competition will close at 5pm on 18th August 2014 and the winner will be notified soon after. UK entrants only please. The judges' decision is final. For T&Cs please send us an email.